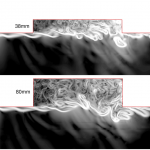 Addition of the Quadratic Constitutive Relation (QCR) for Spalart-Allmaras turbulence models. Addition of the 2-D User Data boundary condition. This allows the user to specify variation of variables on a plane which is used to determine the boundary condition. Modification to the for the User-Coded boundary condition to pass additional variables. Modification to the Grid Deformer interface to load a grid deformer as a run-time library. General improvements in the overall algorithm. For more information and download instructions, please contact support. 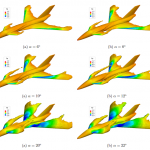 Aerodynamic models were generated to simulate the flight dynamics of a parafoil wing with and without trailing-edge deflection. The airfoil was provided by the Natick Soldier Research, Development, and Engineering Center (NSRDEC) and was based on a modified Clark-Y with a flat lower surface used as the cut pattern for drop tested systems. 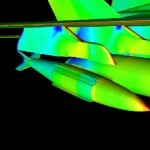 The wing is characterized with an aspect ratio of two and zero anhedral angle. 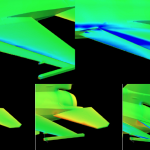 Several derivatives of this wing geometry were tested in the Subsonic Wind Tunnel (SWT) of United States Air Force Academy (USAFA). These wings have either an open or closed inlet, a round or flat leading edge (for closed wings) and are with and without the trailing edge deflection. 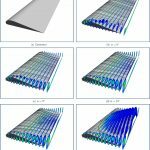 The flat leading edge wings consist of a straight line connecting the wing’s lower surface to the upper surface. The TE deflection is approximately 45◦ as measured from the flat lower surface. For convenience, these wings were named S R, B R, S F , B F , in which S and B denote straight and bent trailing edges; R and F indicate round and flat leading edges. Cavity flows have been the subject of aerodynamic research since the early days of high-speed aircraft with internal store carriage in the 1950s. Low observability design requirements for current combat aircraft has renewed the interest in this field. The presence of an open cavity, such as a weapon or undercarriage bay, exposed to a high-speed grazing flow can result in severe pressure fluctuations. These pressure fluctuations can reach intensities of up to 165dB SPL and may cause damage to both the aircraft and to any sensitive components within the bay. 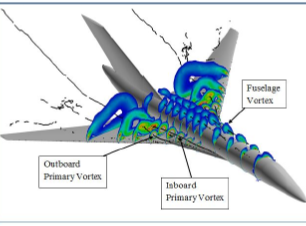 Results for this study were generated using an existing generic rectangular planform cavity wind tunnel model, designated as M219/1. This small scale model was the forerunner for the more widely known larger scale M219 generic cavity model. The vertical flow over the TCR (transonic cruiser configuration). Papers, which feature Cobalt, published at the January 2016 AIAA SciTech conference have been added to our publications page.